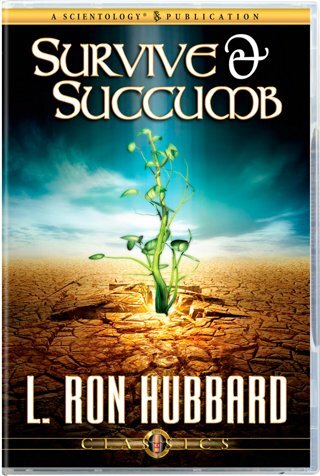 As tomato plants soared eighteen feet, the experts agreed L. Ron Hubbard’s research represented “a discovery of immense significance to all gardners.” Yet the real story was a far greater tale. From Mr. Hubbard’s re-examination of the Basic Principle of Existence (Survive!) had come a discovery with enormous ramifications. Here is a new understanding of the basic postulates that bear directly on an individual’s journey to the ultimate freedom, while concurrently opening the gates for planetary clearing. From his greenhouse at Saint Hill Manor, England, L. Ron Hubbard had the world of horticulture riveted. As tomato plants soared eighteen feet and cucumbers grew large as watermelons, the experts agreed his research represented “a discovery of immense significance to all gardeners.” Soon the world’s press caught on, hinting at unseen dramas playing out across vegetable-covered landscapes: “Plants do worry and feel pain.” Nevertheless, they didn’t have a clue. For the real story was a far greater tale and its roots went much deeper. From Mr. Hubbard’s re-examination of The Basic Principle of Existence (Survive!) had come a discovery he described as “so idiotically simple that you all knew it all the time.” Yet it was no less a discovery with enormous ramifications. Here, then, is a new understanding of the basic postulates that bear directly on an individual’s journey to the ultimate freedom, while concurrently opening the gates for planetary clearing. Quite literally.